DATE: 06 September 2018 TIME: 3:15 p.m. to 4:30 p.m. 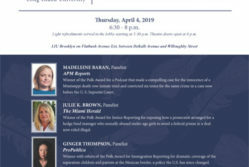 LOCATION: 871 United Nations Plaza at 49th St. and 1st Ave. 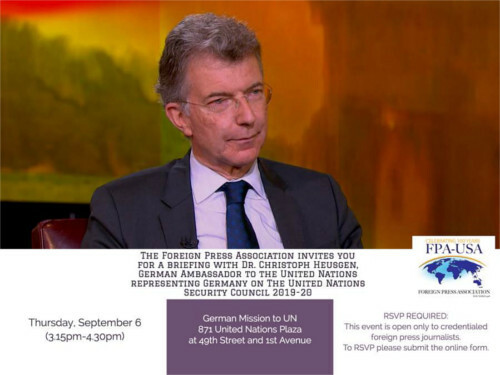 The Foreign Press Association invites OPC members to attend a briefing with Christoph Heusgen, German Ambassador to the United Nations representing Germany on the United Nations Security Council 2019-2020. 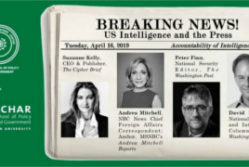 The event is only open to credentialed journalists, and RSVP is required.